HMH Books for Young Readers, 9780547910659, 40pp. In this gentle picture book fantasy, a child’s world transforms through his hard work, imagination, and persistence when he opens the door and steps outside, into to the brave new world of his imagination. 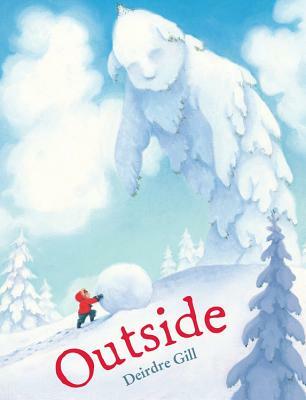 Deirdre Gill's debut book Outside (2014) was inspired by her own experiences of playing outside as a child. The outdoors is still a source of wonder and excitement for Deirdre — the place she goes to "see the possibilities" as well as to ski, hike, and bike with her family. She lives in snowy Vermont with her husband, Jason Chin, also a children’s book author and artist, and their son. Visit her at Deirdregill.com.